One of the most rewarding moments for parents and grandparents comes when our young offspring ask us for life advice. It feels so good to provide good guidance and know we’ve steered them in the right direction. Many young people are confused or intimated by investing. Sadly, that sometimes stops them from starting to save early and costs them years of potential portfolio growth. If you’re asked for tips on investing, remind your young one that it’s not rocket science, and offer these tips to help get them into the money game. Know where you are going. Saving for the future starts with goal setting. 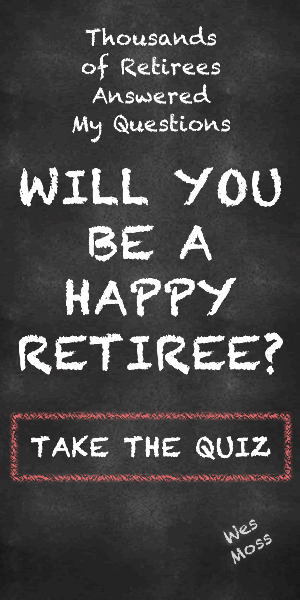 The happiest retirees are those who know what they want from their post-career years – and how much money they need to fund that vision. New investors should take some time to really think about their target. When do they want to retire? What do they plan to do in retirement? Own a beach house? Travel the world? Retire-in-place and mostly hang with the grandkids? What comes before that? Buying a house? Owning a business? This information is critical to crafting a long-term savings strategy, including how big a nest egg is needed and how much must be saved every month. Live by the 15/50 Stock Rule. Investing is a constant trade-off between risk and reward. Stocks can provide significant portfolio growth at the cost of potential volatility. Bonds and cash offer stability, but much less growth potential. Your portfolio should reflect your tolerance for risk. How do you balance the two? If you have more than 15 years to live, 50% of your money should be in stocks, the other half in bond and cash. Avoid the Seven Layer Dip of Fees. Fees can absolutely kill your potential return on an asset. So, read the fine print before you invest. Look for things like mutual fund loads, broker commissions, surrender penalties, markups on bonds and IPOs, wrap fees, mutual fund 12b-1 fees and mutual fund operating costs. Consider using a fee-only financial. These money pros typically charge a percentage of your portfolio to provide guidance and do not receive commissions on the assets they recommend. No peeking. While you need to keep a sharp eye on your portfolio, checking it every day is not constructive. It can lead to bad decisions based on emotion, like panic selling. Learn to breathe through market gyrations by remembering that you are playing a long game. A market tumble lasting a day or week will likely mean nothing to your portfolio in the long run. Offer these tips to your young investor and you’ll look like a financial Yoda. Wise, you are, and happy to have helped launch your offspring on the road to financial security.